Arrival at the agriturismo at the foot of the Asolo hills late in the morning and meeting with the other participants. Transfer to Maser for lunch at the “De Gusto” at the Villa Barbaro, a Palladian villa. 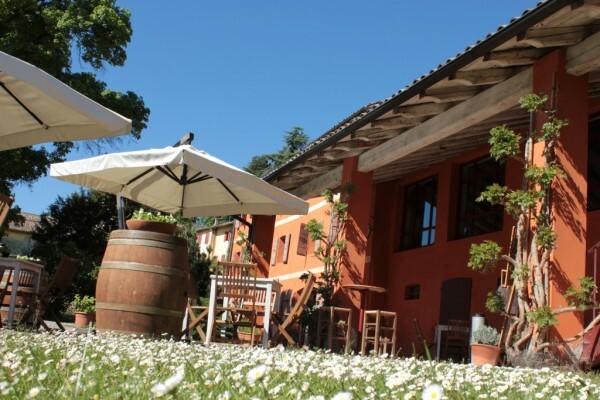 The restaurant is located in the former premises of the barn of the villa and its young managers will advise you on the local typical products which chef Giulio will illustrate and explain. The dishes are made using solely seasonal products and shall be accompanied by a wine tasting session with the wines produced at the villa. The perfect combination between the typical wines, tastes and flavours and he warm welcome will be fundamental for an enjoyable time away from the frenetic rhythm of modern times. Special attention is to be paid to Villa Barbaro, Andrea Palladio’s work of art which is part of Unesco’s World Heritage. Inside the frescoes by Veronese and the stucco statues by Vittoria make this villa one of the most representative works of Venetian Renaissance. 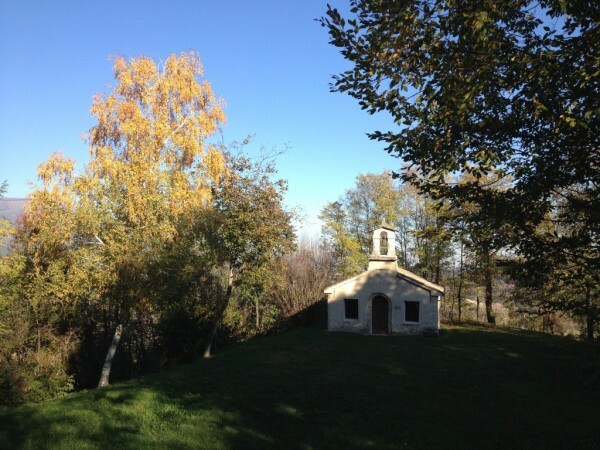 A guided tour will take you through the frescoed halls of the villa and its architecture embodied in the frame of magnificent vineyards where important, precious wines are made and then stored in the antique wine cellar of the villa.A walk around the splendid Asolo hills. 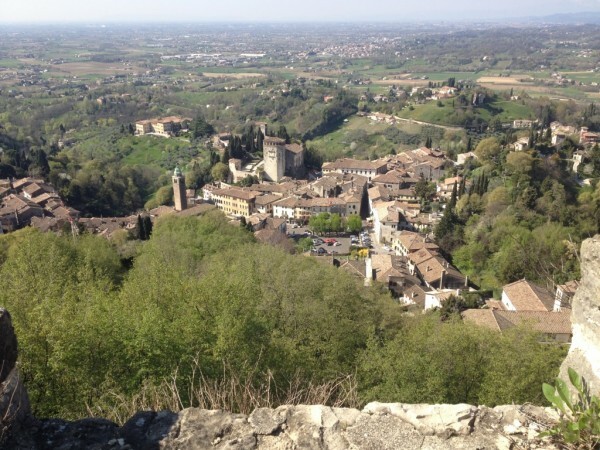 In the late afternoon an enchanting guided tour of Asolo “the town of one hundred horizons”, one of Italy’s most beautiful towns, a Slow Food town and Orange Flag of the Italian Touring Club. It is immersed in the Treviso hills and with its “Rocca” was the magnificent Renaissance court at the time of Queen Caterina Cornaro, the favourite place of two important women: the actress Eleonora Duse and the English writer and explorer Freya Stark. Some important people such as the English poet Robert Browning, the Italian learned man of the XVI Century Pietro Bembo and the musician Gian Francesco Malipiero drew their inspiration at Asolo. There is then the possibility of stopping for an typical “spritz” aperitif in the main square of Asolo before dinner in one of the typical “osterie” in town. Dinner in a typical “Hostaria” in the historical center of Asolo. Return to the Agriturismo for the night. Thanks to Mauro, the young owner of the small mountain dairy farm on the slope of Monte Grappa we will learn the techniques in the production of goat cheese production. The dairy is immersed in Nature and with Mauro we shall learn more about these animals and see the actual production of butter and cheese. 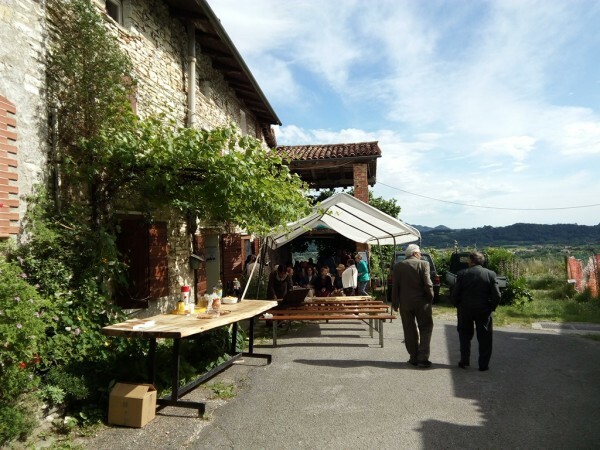 We will gain further insight into Mauro’s products when we have lunch in the nearby “malga” where we shall meet the owners who will explain and allow us to taste the famous “Morlacco del Grappa” cheese. The day in the open air continues with a visit to the WWI trenches. The trenches have become a symbol of the Battle of November 1917 when the Italians blocked the Austro-Hungarian army along the Grappa-Montello-Piave . 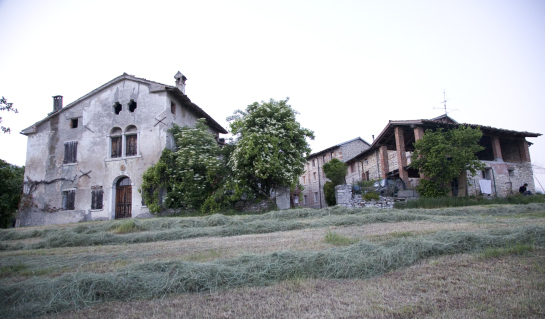 Return to the agriturismo for the evening dinner and for the night. A day to learn more about the traditions, stories and people of the territory. After breakfast we shall visit a local farm which has always produced its own bread in a wood-burning oven. We shall be actively participating in the first phase of the bread production under the guidance of the host family. While waiting for the bread to rise we shall take a pleasant walk in the historical hamlet together with some of the elders who will remember the past, the war and local stories as we walk past the stone walls. 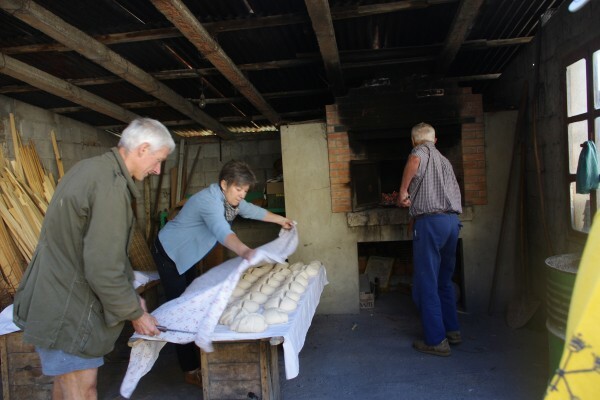 When we return to the farm we shall carry out the last phase of the bread-making and then cook the bread in the wood oven. Lunch at the farm with the typical local products and the freshly baked bread! During the afternoon the knowledge of the local history shall continue in one of the oldest hamlets of the area. We shall be visiting Costa Alta and Jack Costa’s house. Jack Costa was a gold digger who at the end of the XIXth Century left Pederobba for a journey around the world all the way up to Alaska. He was one of the first to arrive in the Klondyke where he found gold and became very rich. We shall discover how Jack’s story ended during dinner with the inhabitants of the hamlet and with an emotional theatrical performance. For futher information site dedicated to the iniziative. On the final day we shall discover the “Arte e Natura” event. This event is held among the hills and ancient hamlet. It extends a little over two kilometres and constitutes an open-air museum with paintings and dozens of stone sculptures carried out starting in 2000 until the present during the yearly event. During the event we shall walk in the woods, discover the history and enjoy a beautiful view of the entire valley and see the painters, sculptors, musicians and street artists at work. Further information on the project can be obtained at the Arte e Natura site. The local government of Cavaso offers a guided tour which shall be executed by the guides of the Akelon Cultural Association of the splendid church of San Martino and the ruins of the Castelcies castle. The church, with its magnificent frescoes dates back to the second century B.C. and it contains the oldest known document of the Treviso area. For lunch one can stop at one of the many stands of the event for a taste of typical local food. The programme is envisaged for a minimum of 7 people and a maximum of 25 people. ** Transfers are NOT INCLUDED. They shall be defined according to the requests and needs of the individual participants.